I purchased a Pullman Loaf of brioche, the traditional French bread, at local bakery Black Lab Breads. For several breakfasts, I enjoyed toasted slices of this sweet bread with French butter and raspberry jam, yet over half the loaf remained. 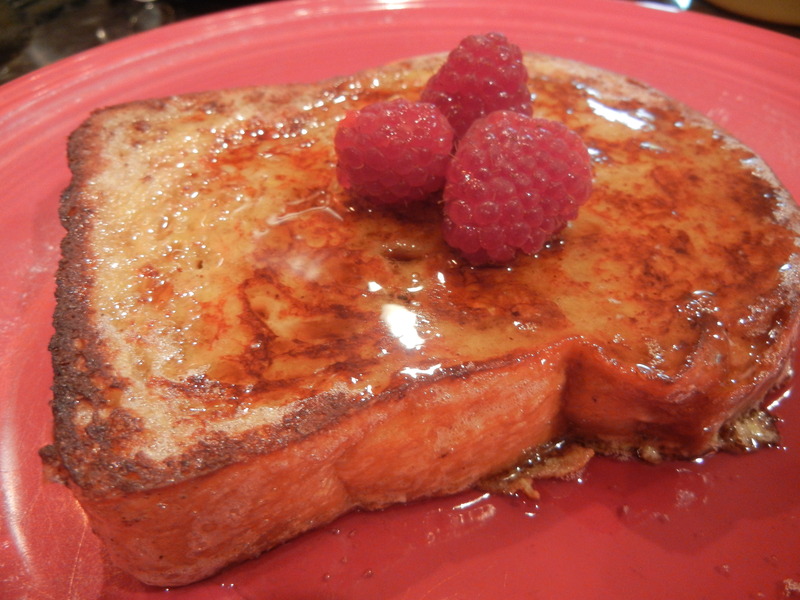 So, for a more decadent start to the day, I decided to make French Toast with fresh raspberries. This recipe for Brioche French Toast is for six slices, but you can adjust the amounts accordingly. In a large mixing bowl, beat the eggs with the milk. Mix in the cinnamon, lemon zest and vanilla. Add several tablespoons of butter to a large non-stick frying pan or non-stick griddle on medium-high heat. When the butter melts, dip each piece of brioche into the egg mixture and place in the pan or griddle. Fry the brioche until both sides are golden brown. Repeat for the remaining slices. Serve with your choice of fresh berries and maple syrup or honey. Making French Toast with brioche adds another dimension of sweetness to the dish – the bread itself is sweeter than regular bread and its airiness allows it to soak up more syrup. The few inches of Pullman Loaf remaining after the French Toast were just enough to make croutons for a Caesar Salad. To make brioche croutons, simply cut slices of brioche into cubes and place them on a tray or a piece of aluminum foil under the broiler, turning the cubes so that all sides become toasted. 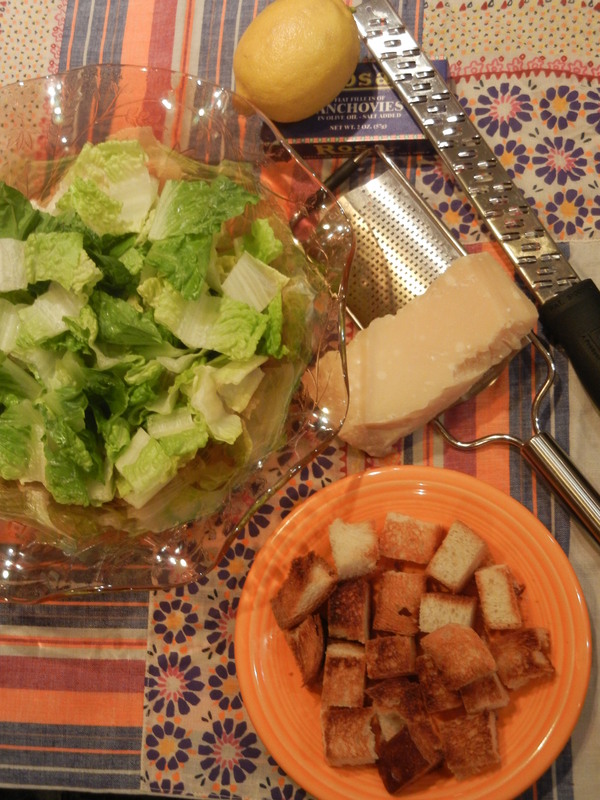 Top your Caesar Salad with these sweet, crispy croutons…and stay tuned for my favorite Caesar Salad recipe. This entry was posted in Uncategorized and tagged Breakfast, Brioche, Cooking, Food, French Toast, Recipe. Bookmark the permalink. Great bio, Susan… didn’t know you taught at Ursuline! And very cool about teaching teens the great tool of real cooking! Luckily my wife is spreading her mother and grandmother’s recipes to my daughters! Glad you’re enjoying the Rhones… keep me on your list. Can never have too many great recipes in the kitchen, CHEERS!